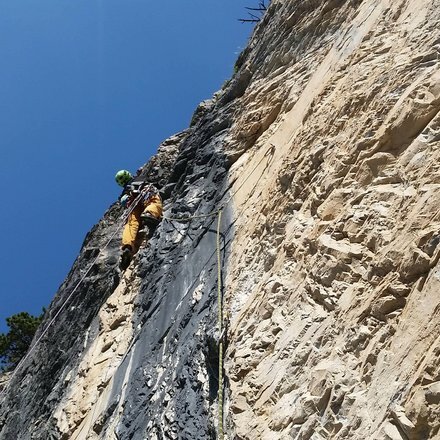 A summer full of climbing. 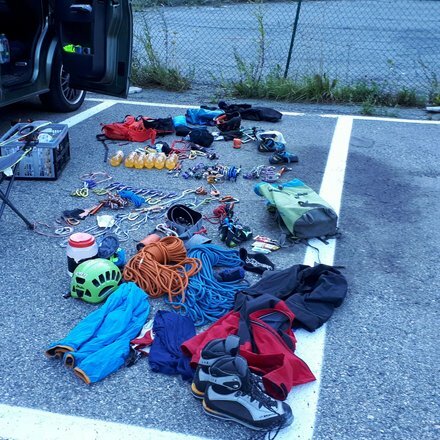 Austrialpin / Social / Blog / DetailA summer full of climbing. And many routes ticked in Benni Hangl´s wish list. 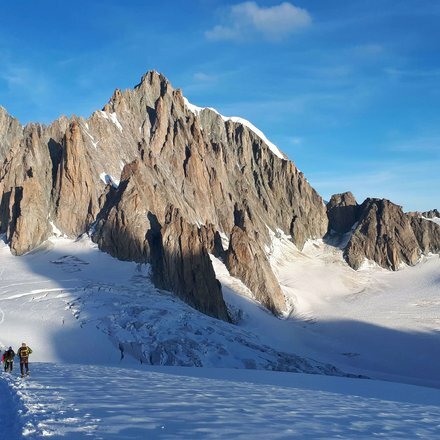 "This summer, together with friends, I was able to realise many routes that have been waiting on my wish list for a long time now. 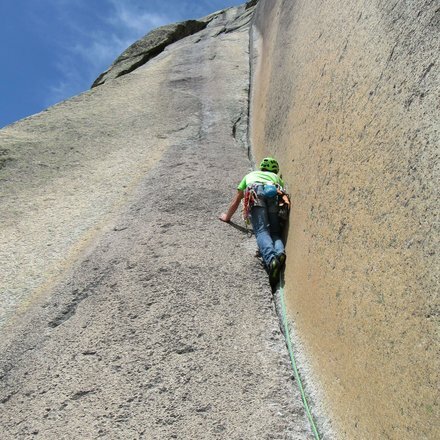 But, for those expecting to hear the most well-known route names, will be sadly disappointed. 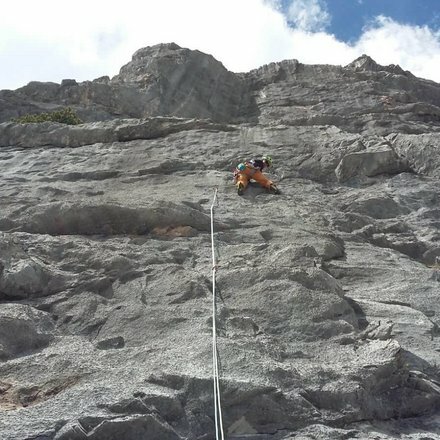 The routes we climbed weren’t the most well-known, but they were all lines which have stood out to me, making my climbing heart beat a little more quickly, like the Teufelswand by Andermatt, the routes on the Muro de Pisciadu, long lines in Wilder Kaiser, the cool Repswand in Hinterautal and many others." 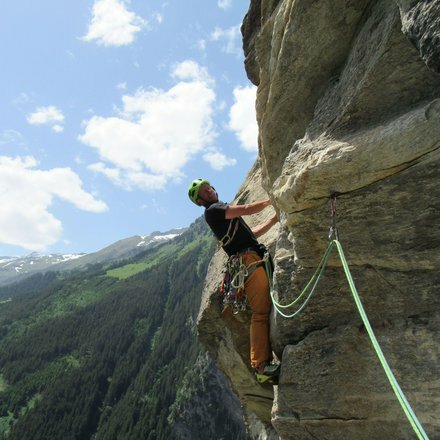 "This summer we were also able to bring a new route to life, escaping the heat in a side valley of the Stubaital. 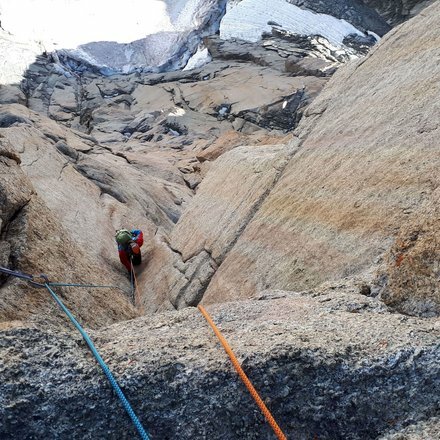 And so we found ourselves investing many days of work into this route, surprised by the excellent rock quality - not something you can take for granted in this area! 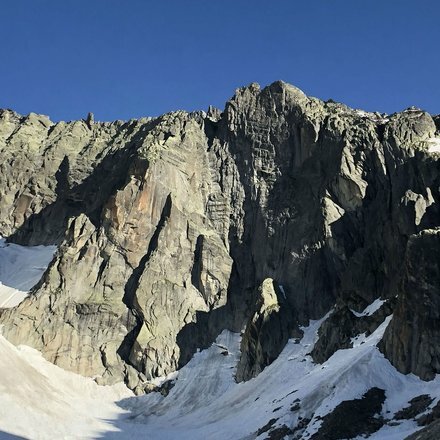 A fitting name for this amazing 6-pitch route, as well as my red-point ascent, are still missing. But that just increases the anticipation and motivation to return. 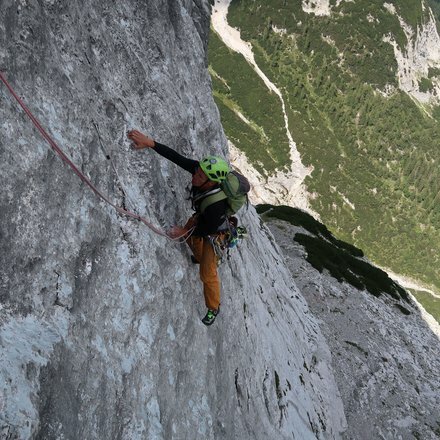 In spite of all our passion for- and also caution while- alpine climbing, this year my guardian angel had his work cut out for him. One experience in particular I would like to share. 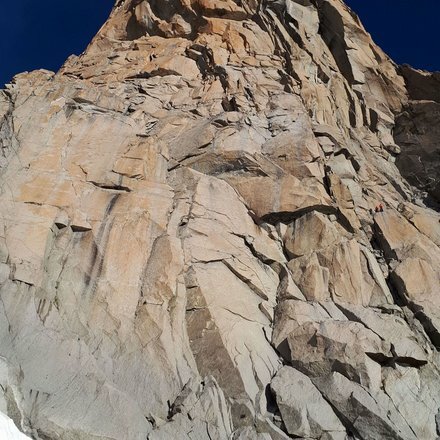 It was on the approach to the Direct Route on the Grand Capucin. Only about a half hour after we crossed a - what we believed to be safe - ice bridge, it completely collapsed. 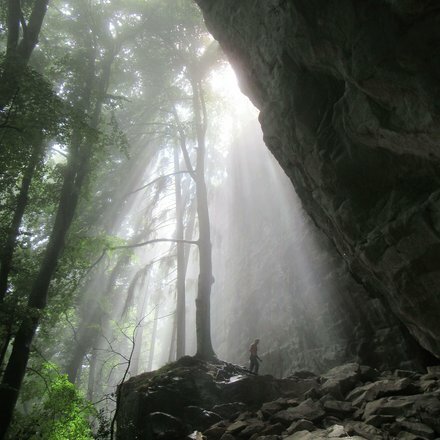 If we would have still been there, we would have been swallowed, regardless if we had a rope or not. When we were evaluating the bridge, we had deemed the two pillars the bridge was supported by to be completely massive. When we look back on it, we got damn lucky. 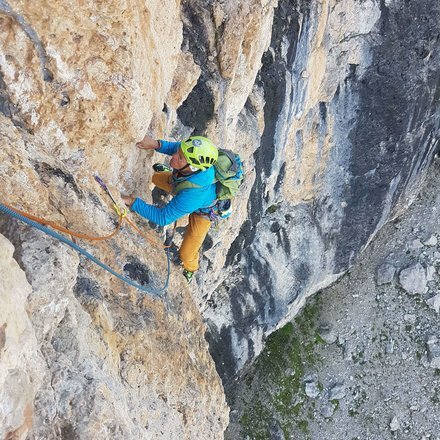 In the end the beautiful route made amends when, in the steep cracks, we had to break out all our skills as East-Alps-Crack-Climbing-Specialists. 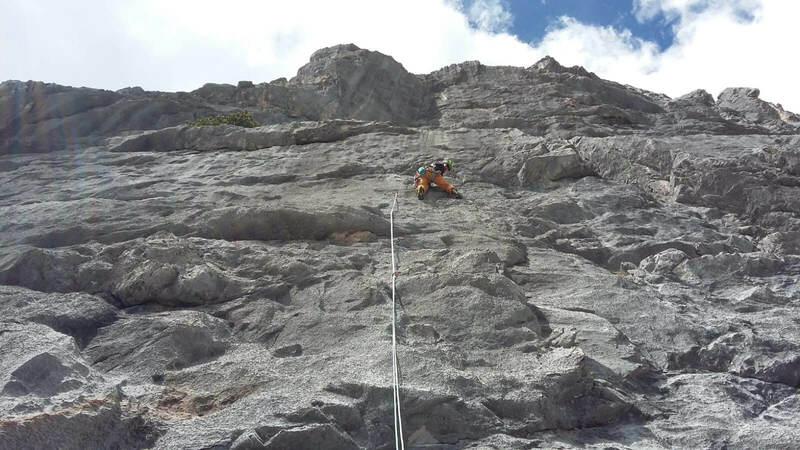 In many other routes that we climbed this summer, we also got into some very ‘adventurous’ situations. To that end, I am very grateful that I have been able to experience so much, and that my guardian Angel has always been on duty - even when he’s probably had to put in some overtime.